In the Bauland, the northeastern tip of the Rhine-Neckar Metropolitan Region, things are actually still done in a different way: In the small town Rosenberg with its 2000 inhabitants, Edelbrände (high-quality fruit brandies) and whiskies are distilled with all the time in the world – and the result even leaves connoisseurs awestruck. 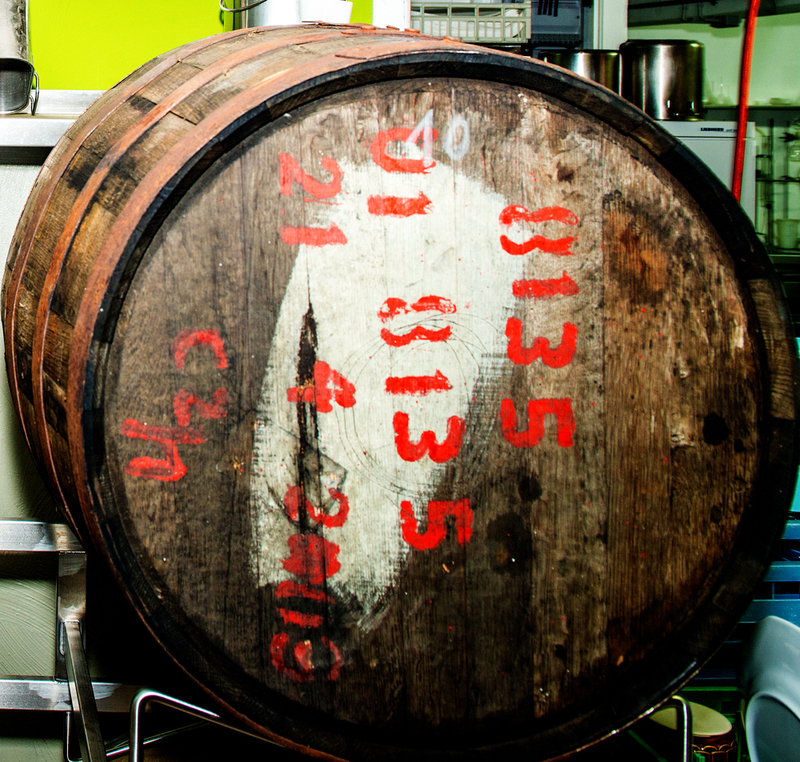 How come two Swabians are able to make whisky from green spelt grain here on a world-class level? Well, it was a long way for Michael Enderle and Joachim Alt – and it seems to only have started now. The Bauland? Very high up in the northeast of Baden-Württemberg. Almost as idyllic as the cheesy Tennessee of the Jack Daniels commercials – but known most notably for its green spelt grain. Until a few years ago, not much was to be said about green spelt whisky and exclusive Edelbrände produced in the Bauland. The distillery “Alt-Enderle Edelbrände” in Rosenberg changed this dramatically. Of course, at other places between Odenwald, Tauber, Jagst and Neckar good schnapps is distilled, too. But the uncompromising quality, the devotion for and the professionalism of the work that they do here meanwhile is a unique feature throughout Germany. The way to Joachim Alt and Michael Enderle in most of the cases is a long one. 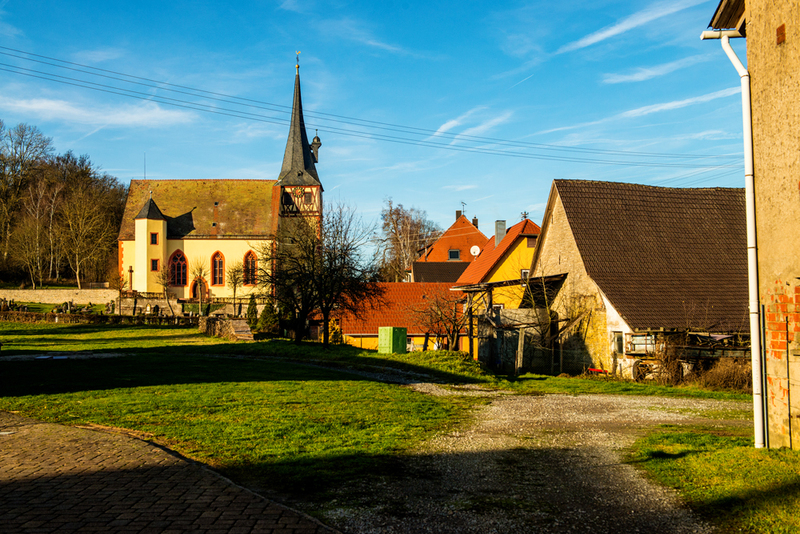 It leads you over picturesque hills and along the sprawling fields of the Bauland. 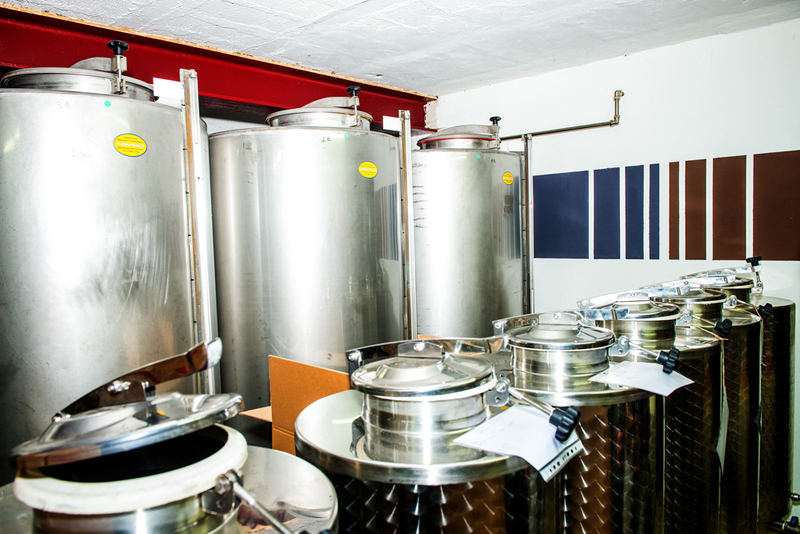 Here, at the furthest corner of the Metropolitan Region, the two Swabians have been distilling their almost unbelievable Edelbrände and liqueurs for four years. When you arrive at the former farm something becomes clear very soon: here, people still take their time, but there is no shortage of work to be done. Numerous packed parcels for direct customers and retailers are lying on a big wooden table, ready for delivery. Hektik? Welche Hektik? In Rosenberg ticken die Uhren anders. Hier reift er - der Bauland-Whisky. The distillery is placed in a room directly next to the entrance hall. But the heart of the company is also under transformation at the moment. 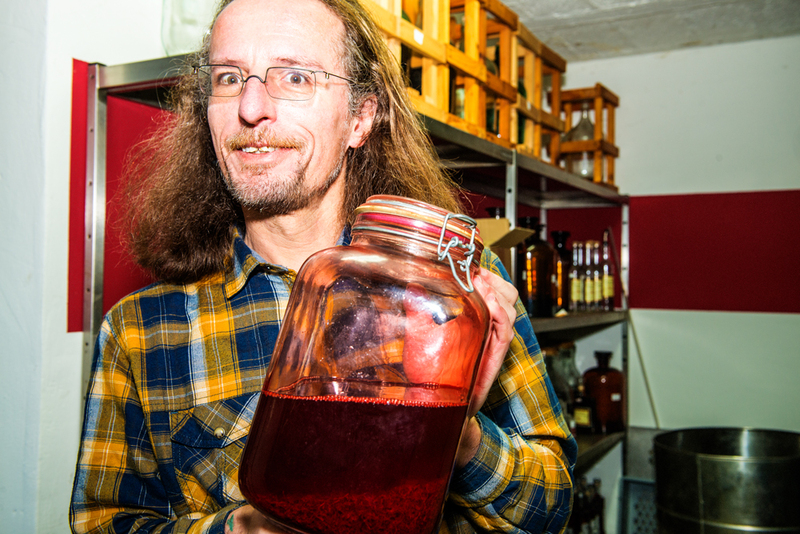 “More and more customers come to a schnapps tasting session. We want to create ideal conditions for these events,” Michael Enderle says adjusting his spectacles. Although there is yet a lot to be done at the end of the year, a hectic atmosphere is not noticeable. As a wholesaler, Enderle is responsible mainly for the small company’s entrepreneurial side. But sure, he also knows how to distill: “In a two-person company everyone does everything,” he says shrugging and points to some measuring instruments and the shiny barrels next to the still. Where things are actually still done in a different way. In the Bauland the atmosphere is relaxed – and there is time to take a breath. Joachim Alt, too, who as a qualified cellarman and distiller watches over the quality of the Edelbrände and comes up with new creations, is an industrious man. He proudly shows visitors around through the neighbouring building. Here you can still smell wet paint; he finished the renovations just a few days ago. 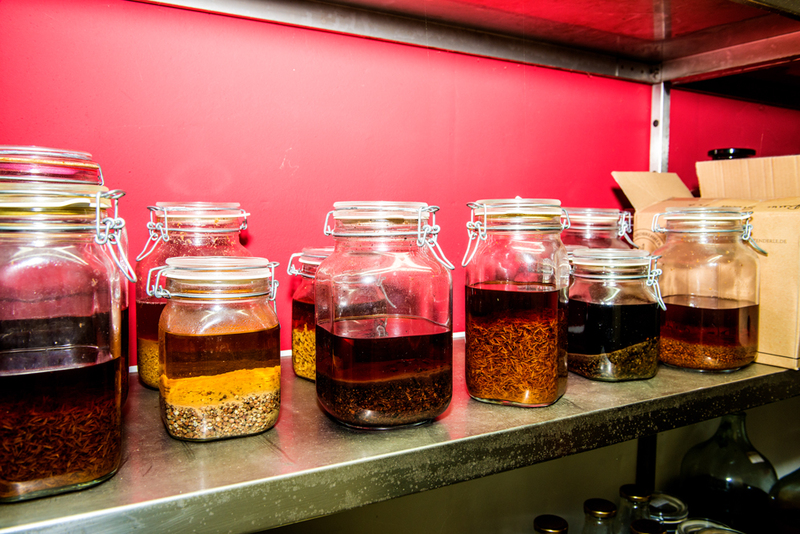 In the former pigsty whisky, rum or herbal liqueur and sour cherry schnapps amongst other things are to be stored. On the opposite side of the yard is the two business partners’ private house. “Our company is also our living room, so to speak,” Joachim Alt says smiling. Private and business life go hand in hand. It is somehow fitting that a major part of the revenue is generated by their own online shop. Independent of time and space. 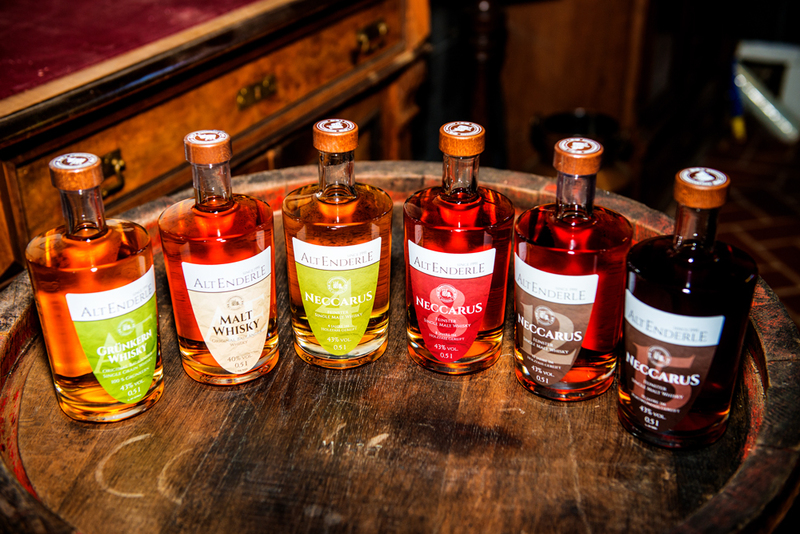 What is true for the former farm’s buildings and ambience is all the more true for the fine Edelbrände which are produced according to the old method of double distilling in the perfectly equipped bonded distillery. 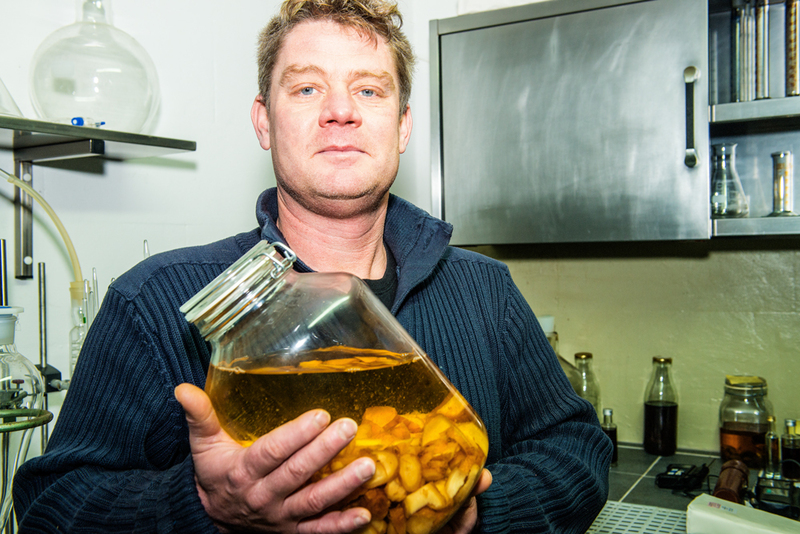 “The most expensive way to produce alcohol,” as Michael Alt says, “but also the best!” The spirits that Alt and Enderle produce are specialities. Here in Rosenberg they like to work with organically grown herbs. Whereas some companies rely on artificial flavours for money reasons, Alt and Enderle rather rely on rhubarb juice from northern Germany, saffron from Iran or cocoa beans from Paraguay. Joachim Alt takes a big bag with aromatically smelling vanilla pods out of a wooden box. The price for one kilogramme of this precious spice is 1500 euros at the moment. No wonder then that the distillery supplies not only retailers in Germany with its exquisite fruit brandies and other kinds of Edelbrände as well as liqueurs. 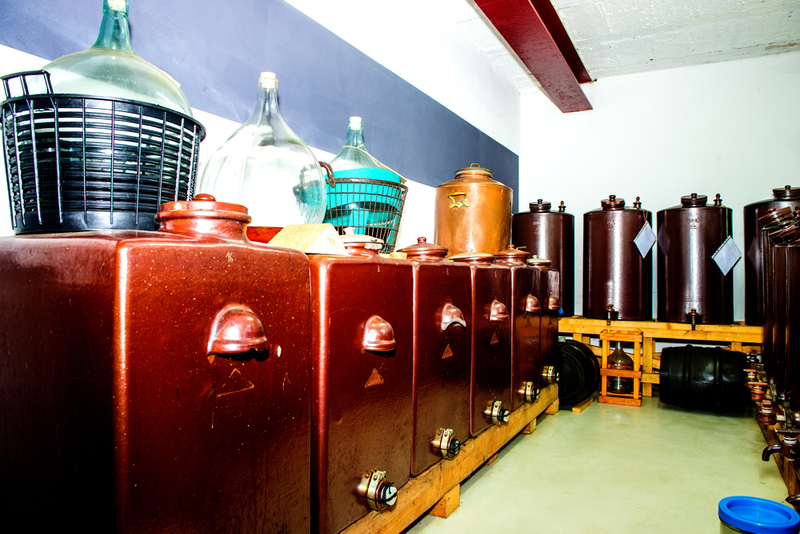 Customers in Austria, France, Spain or Russia also appreciate the spirits produced in the Bauland. Whether gin made from elderflowers or whisky made from green spelt or some classical schnapps types like Williams Christ or mirabelle schnapps – individualists as well as down-to-earth connoisseurs find something according to their taste here. 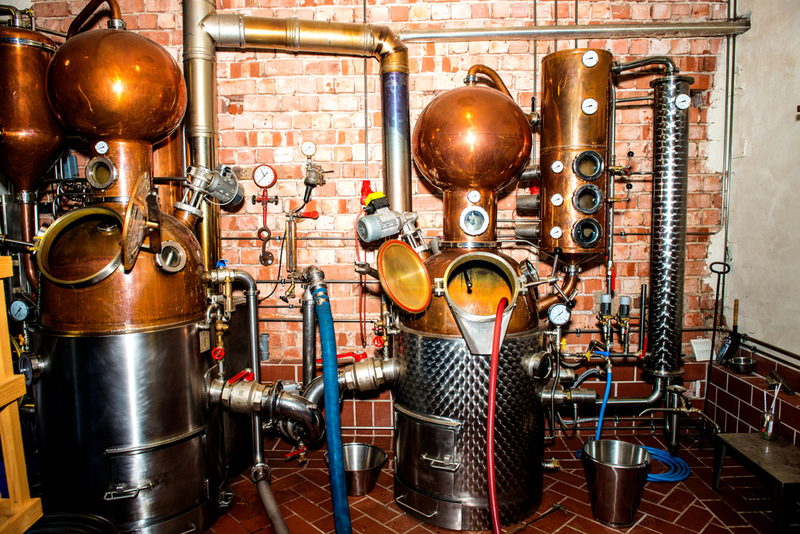 All in all, the distilling company has a product range of 80 different types of spirits. Effort and fondness for experimenting are paying off: The annual sales volume is by now between one to one and a half million euros per year. “But I do not know any colleagues who make such huge efforts,” Joachim Alt says. The man who puts nothing but the best ingredients into the bottle: Joachim Alt, qualified cellarman and distiller of excellent whiskies, brandies and liqueurs – and co-owner of the distillery. The two who chose Rosenberg as their place to live and work are a very well-experienced team. From 1991 to 2010, they did not only run a distillery in Stuttgart. Several gastronomic businesses were part of the two Swabians’ little empire. “We had about 30 employees and actually lived only for our work. We hardly noticed anything of normal everyday life anymore,” Michael Enderle says remembering. The distillery – the two men’s true passion – had been pushed into the background. 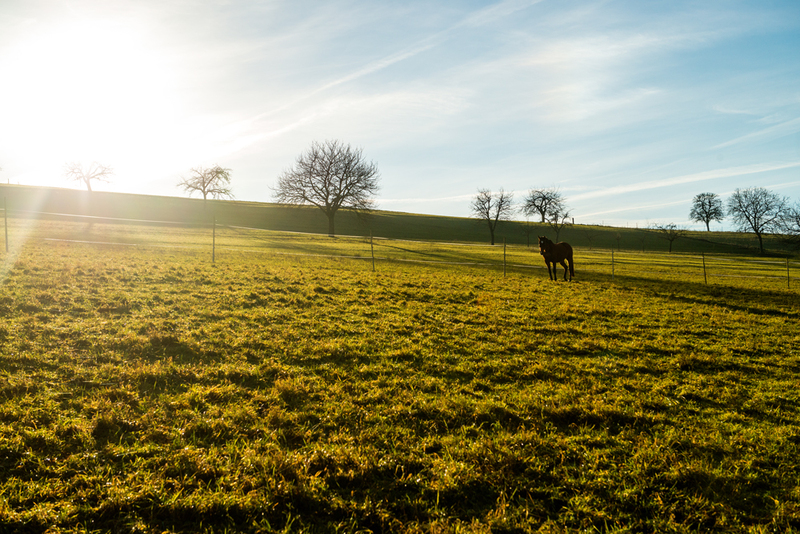 “This is why we were looking for a farm which was to be conveniently situated and where we would be able to concentrate on our original work,” says Joachim Alt. This search in the end led them to Rosenberg. The farm at the edge of the town was affordable, its geographical location ideal. And a house to live in was already there, just as they had wanted it. The fact that the renovation works of the sandstone building proceed only slowly – another storage facility in the former barn is to be finished during the next year – does not bother the two at all. They have created something unique in the Bauland. And realised their very own idea of an ideal work-life-balance.